Across town, at Duke University, the best basketball squad on campus wasn't the Blue Devils, but an all-white military team from the Duke medical school. Composed of former college stars from across the country, the team dismantled everyone they faced, including the Duke varsity. They were prepared to take on anyone--until an audacious invitation arrived, one that was years ahead of anything the South had ever seen before. What happened next wasn't on anyone's schedule. 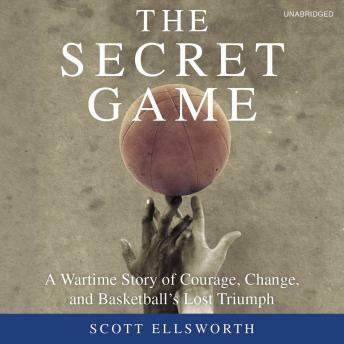 Based on years of research, The Secret Game is a story of courage and determination, and of an incredible, long-buried moment in the nation's sporting past. The riveting, true account of a remarkable season, it is the story of how a group of forgotten college basketball players, aided by a pair of refugees from Nazi Germany and a group of daring student activists, not only blazed a trail for a new kind of America, but helped create one of the most meaningful moments in basketball history.